this is really similar to my small chanel bag, but in a 2.55 version! so cute! this dress – the fabric is substantial and drapes beautifully! 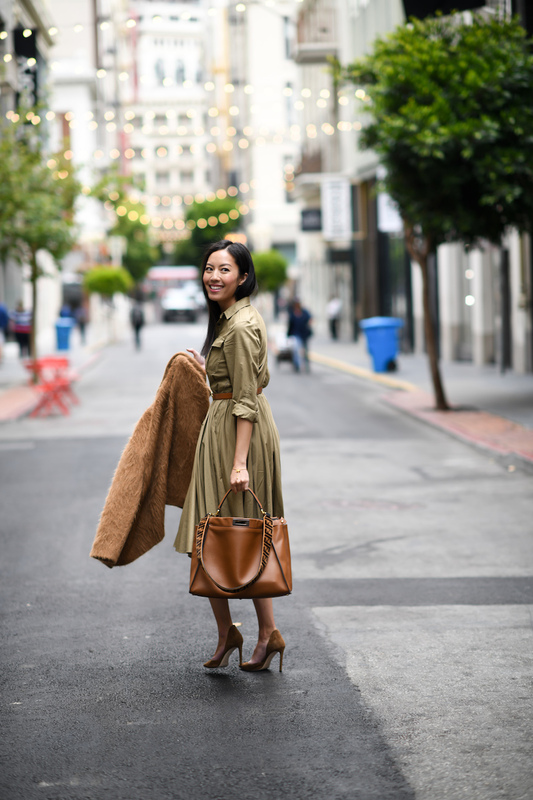 This shirtdress is gorgeous! Perfect for early Fall! Simply looking beautiful in that shirt dress! ???? 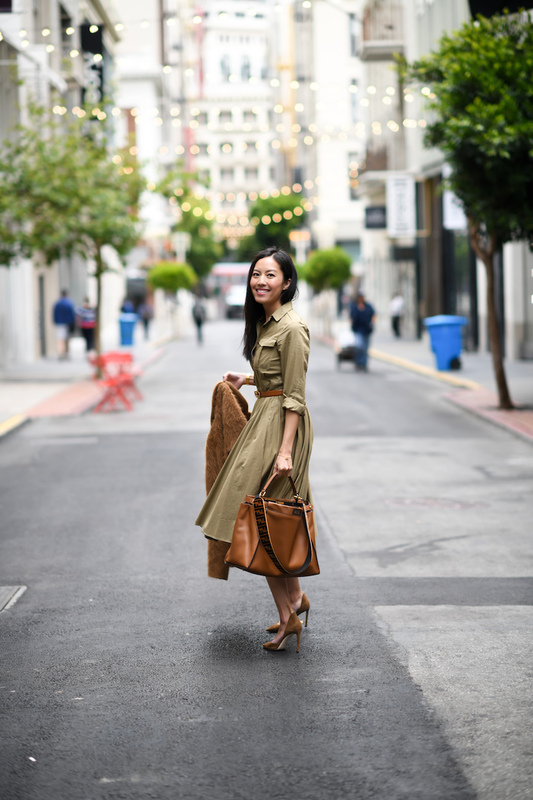 Loving all of your bag picks <3 🙂 And this shirtdress is so chic too! They're my absolute favorite for the office during the summer months – so easy to wear and effortlessly chic! Such a simple gorgeous dress! I adore the pleats in the skirt portion of the dress! Really adds to the femininity!